February 29th already. 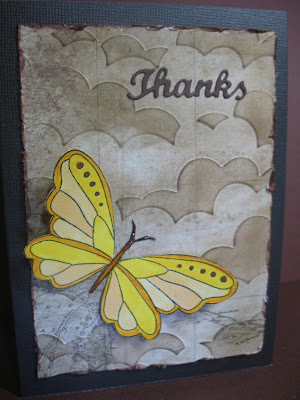 A great big Thank You to Hero Arts for sponsoring our blog once again. Always a pleasure to stamp with Hero Arts. Some lucky someone will win a $25 shopping spree. 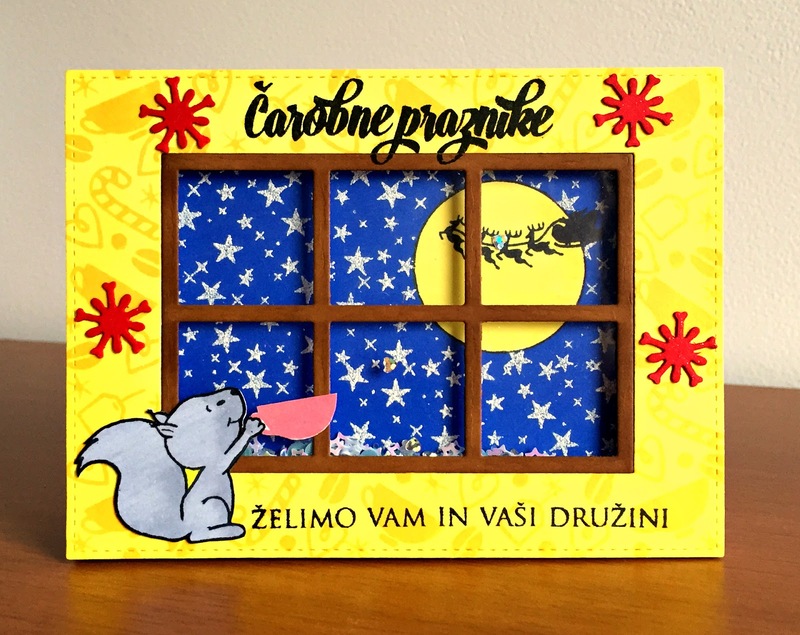 The winner will be posted on March 2, 2016. Hope you're enjoying your weekend. I am back today to share an anniversary card. There's lots of hearts and shimmer on it. 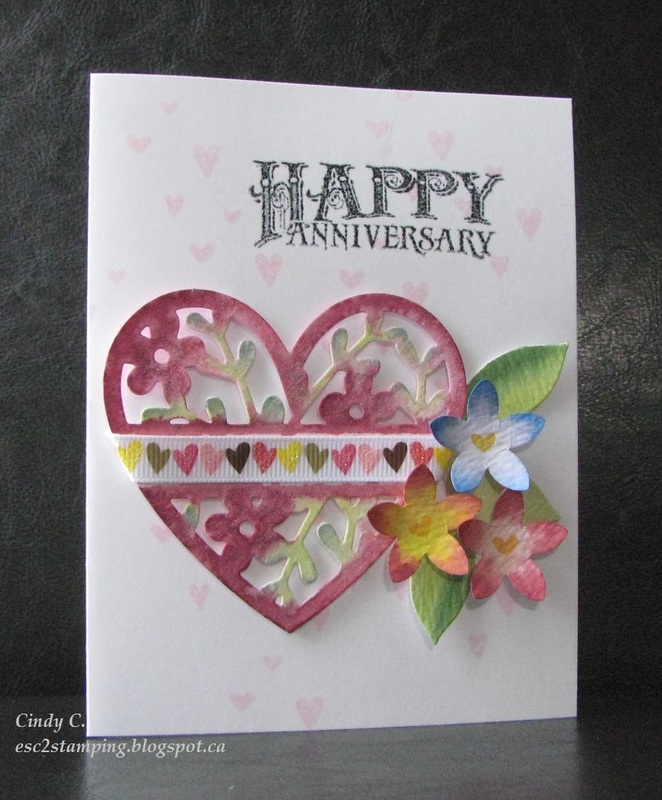 Have you join in this month's challenge: Love, Marriage, & Anniversary? There is still a few more days to link up. These new butterflies are flying all over the place and I hope you like these as I was trying out some colors and I hope I can remember them. 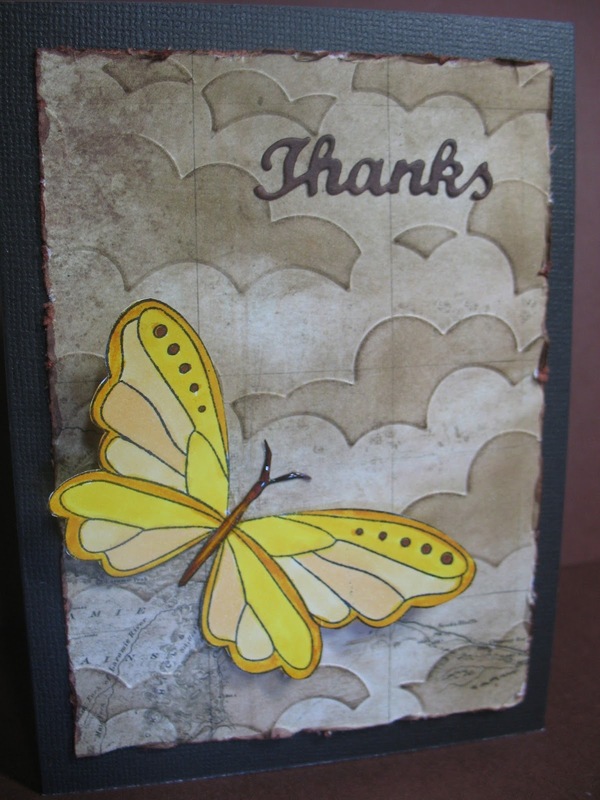 I took the same distress inks to sponge the white note card. 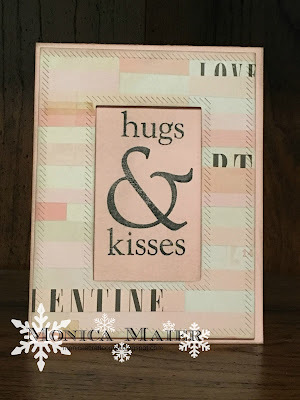 Be sure to participate in the February challenge. 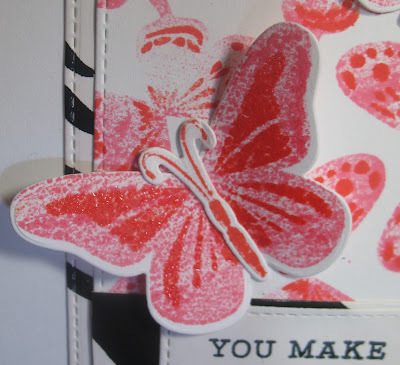 Close-up of the embossing which is not evident from the card photo. I wanted the embossing to enhance the image and not take over. Sometimes a little bit is better. A quick post from the Scramble on Saturday, February 20th. I thought I'd post it to let you know we can do a card in 90 minutes, including uploading. 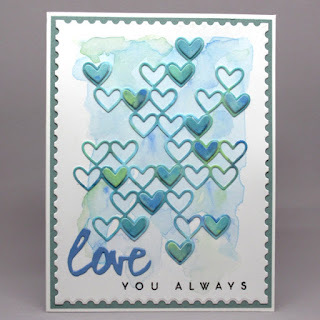 Hello all, Monica here today with a card for our love challenge featuring Hero Arts. Hope you join us for your chance to win a $25 shopping spree with Hero Arts. You still have few more days to link up! Join in the fun! Make a project about Weddings, Love or Anniversaries for a chance to win. 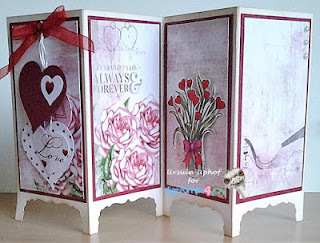 I used a Brusho painted panel behind the Cricut made trellis, and Hero Arts Hello Flowers stamps & dies. 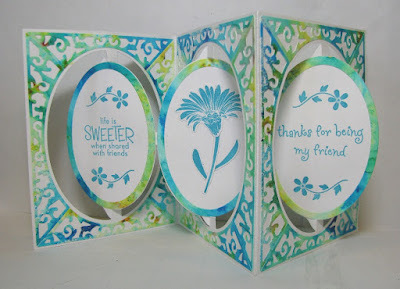 For more information, please join me at Just A Nutter Paper Crafter. 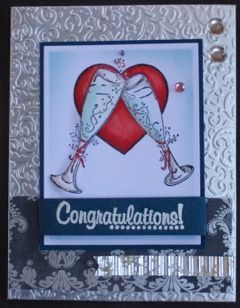 Cindy here to share a Wedding card. 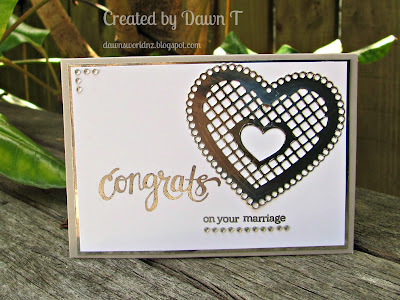 This month's challenge theme is Love, Marriage, & Anniversaries. Hero Arts is our sponsor! 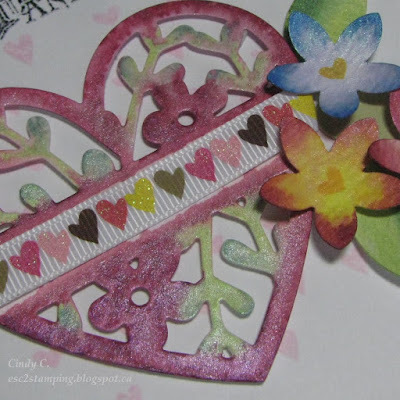 I chose a floral heart shape stamp and overlapping it in a circular fashion trying to create a soft lace look. Just giving our fabulous sponsor, Hero Arts, a plug. Hero Arts is having a Flowers Challenge right HERE. You have through February 29th to enter this fabulous challenge. I know the Die Cut Divas' and the Hero Arts' challenges are different, but maybe you can make your project fit the Die Cut Divas' challenge of Love, Marriage and Anniversaries as well as the Hero Arts Flowers Challenge. Think about it. randomly chosen as the winner. Thanks to everyone who has entered so far.... still plenty of time to enter. 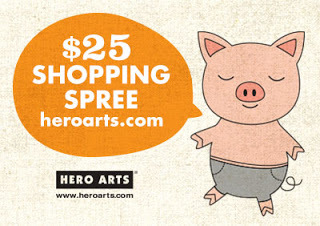 Hero Arts is Our February Sponsor. 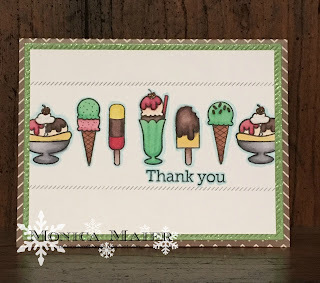 I love matching die and stamp sets. That gives you so many options. 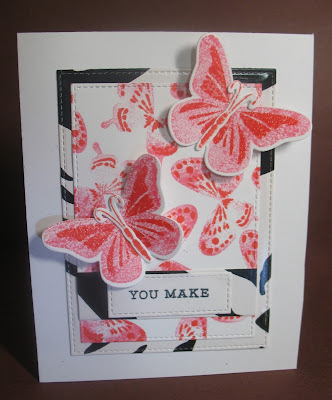 When I think of February's challenge at Die Cut Divas, I think pink, whirling butterflies, and that fluttering feeling in the tummy. My sentiment continues from the outside to the inside. 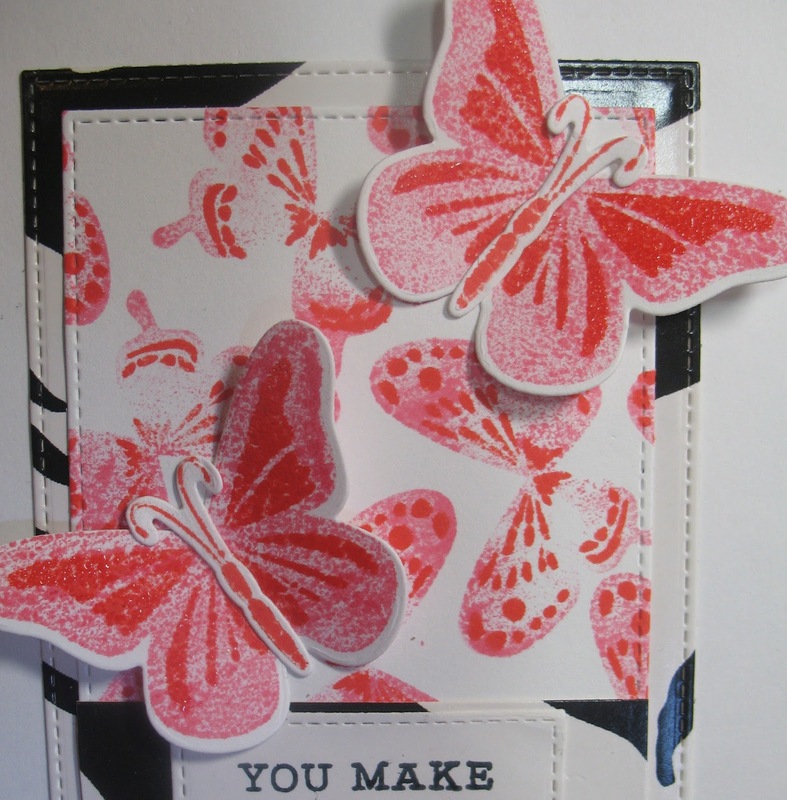 "YOU MAKE my heart flutter" is the sentiment, but I divided it to fit part on the outside and part inside. Take a look at the outside. And yes, the black and white is from a up-cycled tissue box. 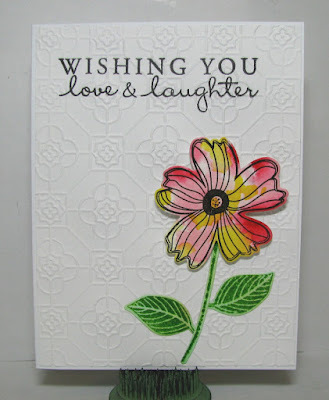 I think this card has a feminine, but modern feel to it. Someone gave me a tissue box that reminds me of a zebra and I couldn't resist using it. Arlene at A Bit of This and That. Hello Diva's, Monica here with today's post. 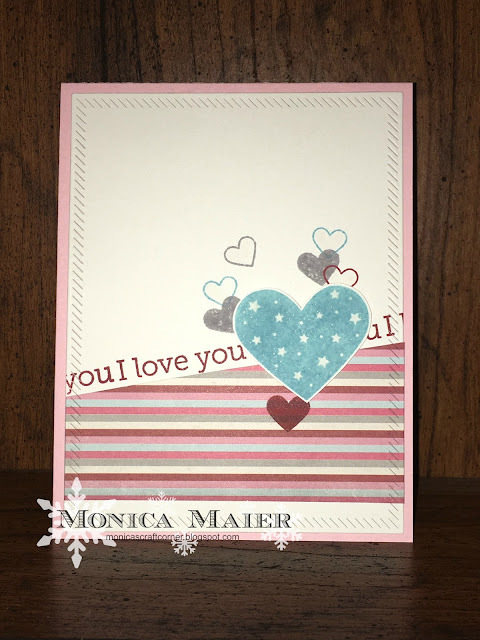 My card is a Valentine card that is quick and easy. 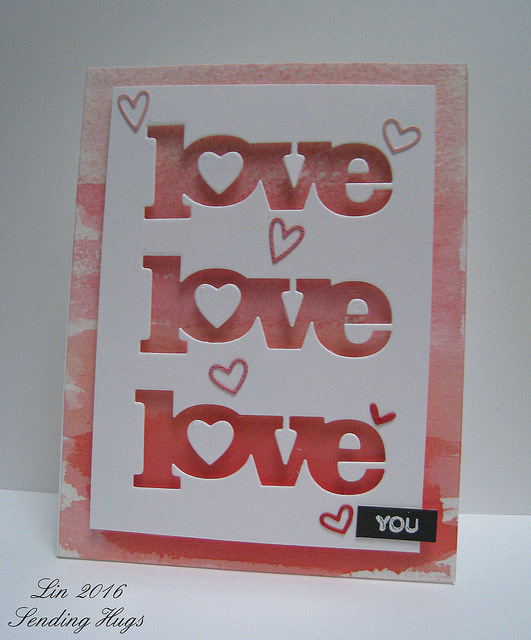 A little bit of stamping and die cutting made for a fast Valentine's day that could easily be reproduced if needed. I will personalise this card with details when I receive them. The recipients always really appreciate that. Hello! 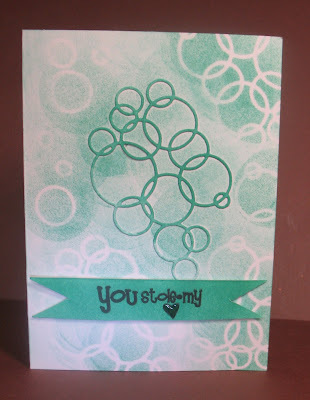 Today I'm sharing a card I made with our sponsor, Hero Arts, stamps and dies. Maker sure to enter our challenge of Love, Anniversaries, and Weddings for a chance to win! 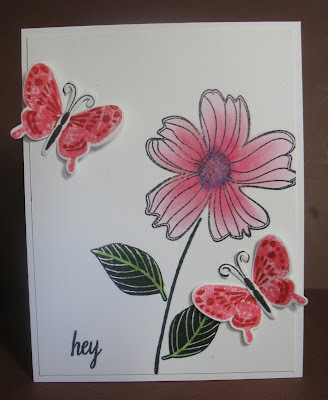 I used Hero Arts Truly Appreciated stamp set, and Hero Arts Hello Flowers stamp set and dies. 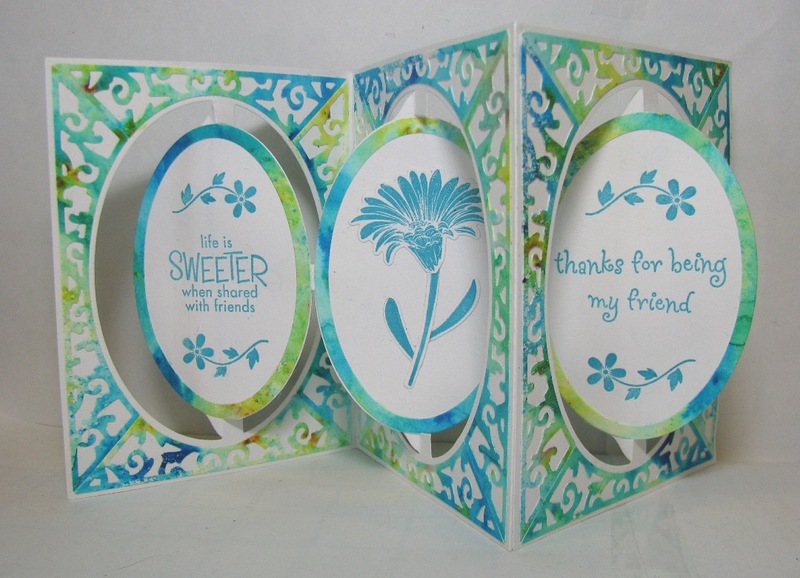 The embossing folder is one of four in the Decorative Tile set by Cuttlebug. The flower paper was made using Brusho's on watercolor paper-so fun to play with! If you would like more information, visit me at Just A Nutter Paper Crafter. Our fabulous sponsor, Hero Arts, is having a Flowers Challenge right HERE. You have through February 29th to enter this fabulous challenge. One Happy Cut will give out a $15 gift certificate to our randomly drawn winner. 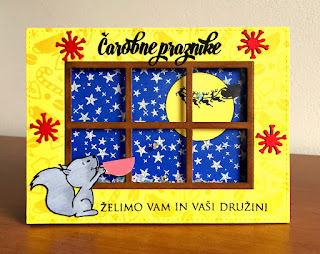 I love the technique and that Karen took the risk to die-cut all the frames for this little lady. 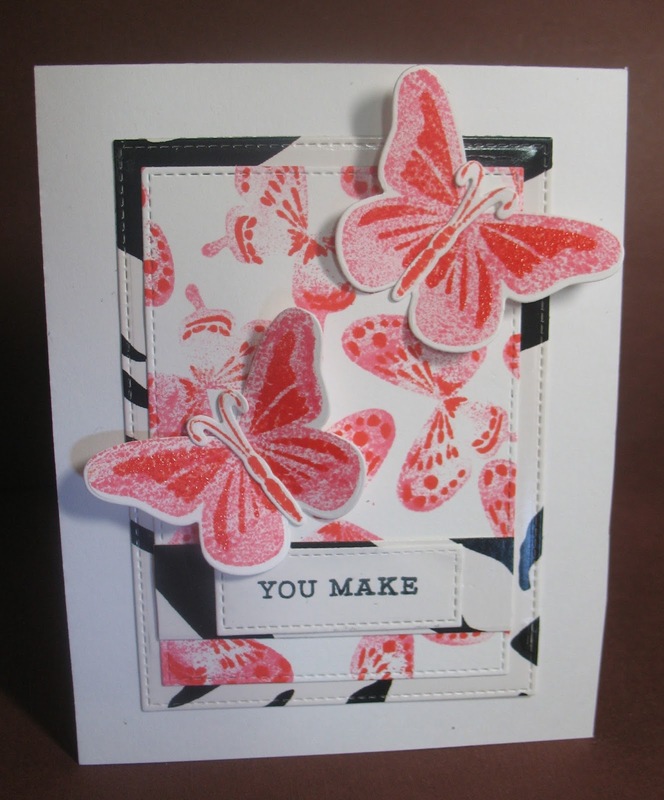 This is the type of card I wish I could make, but I can't get the hang of. Once again a HUGE thanks to everyone who took part. I am so glad I was able to use Random.org to get the winner... you are ALL winners in my book. It's all about Love, Marriage & Anniversaries and with Hero Arts, you can create every day to bring lots of love to your projects. Make a project all about Love, Marriage or Anniversaries. Only Four submissions to our Challenge per challenge month are allowed. Here are some examples from our Divas. 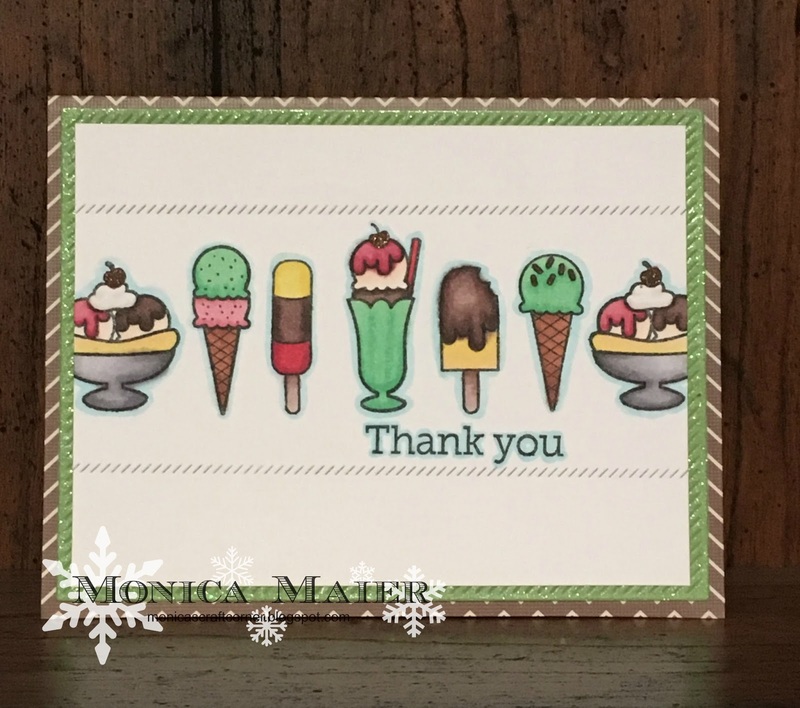 Dawn has created an elegant card. 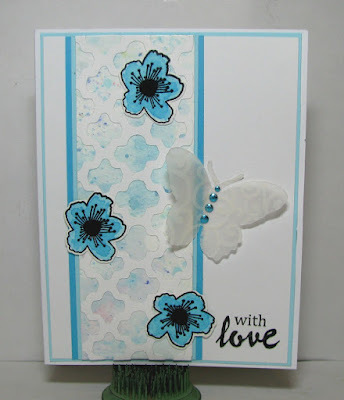 Arlene has a whimsical card as her sample for this month. 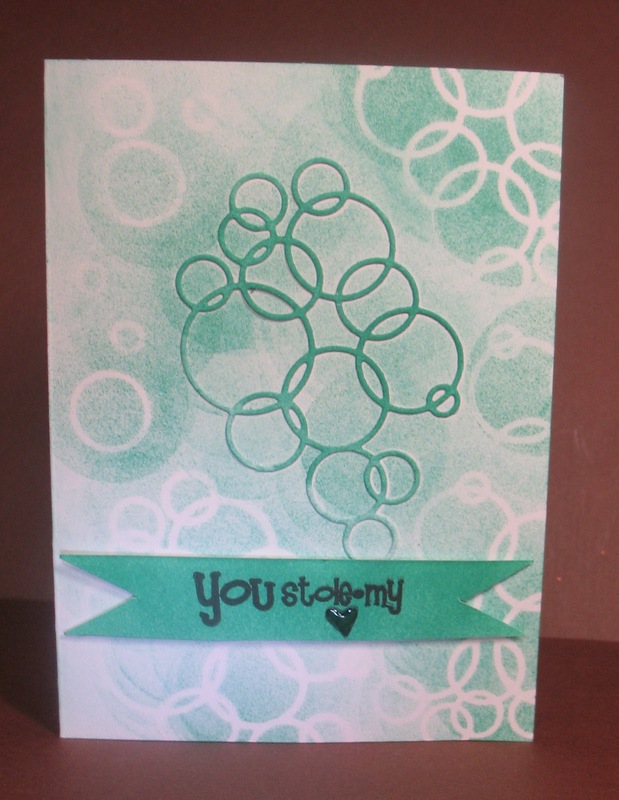 I used a Memory Box Loopy Rings die cut as a stencil on which to sponge some wonderful Distress Ink, Lucky Clover. This is my Valentine card. Cindy has a graphic Valentine's Day Card.